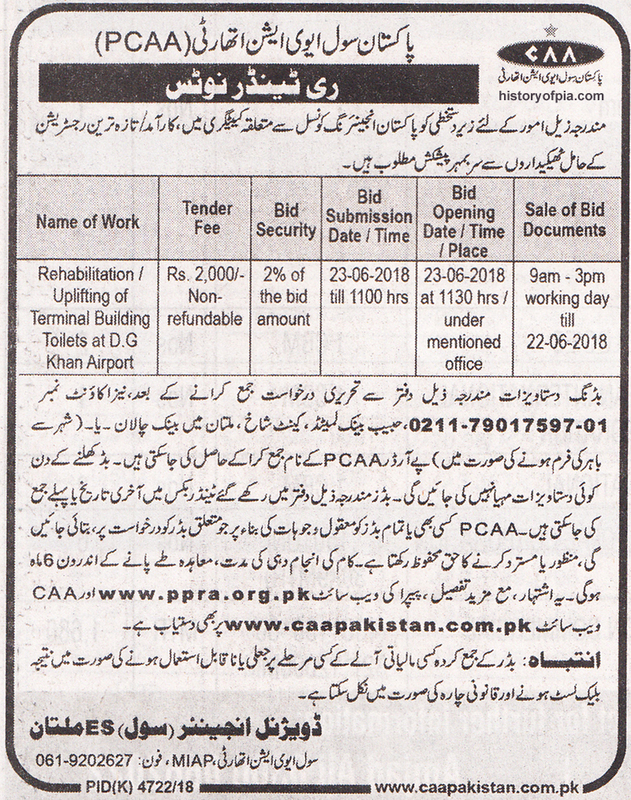 Pakistan Civil Aviation Authority (CAA) tender notice in October 26 newspaper for rehabilitation/uplift of terminal building toilets of Dera Ghazi Khan Airport. 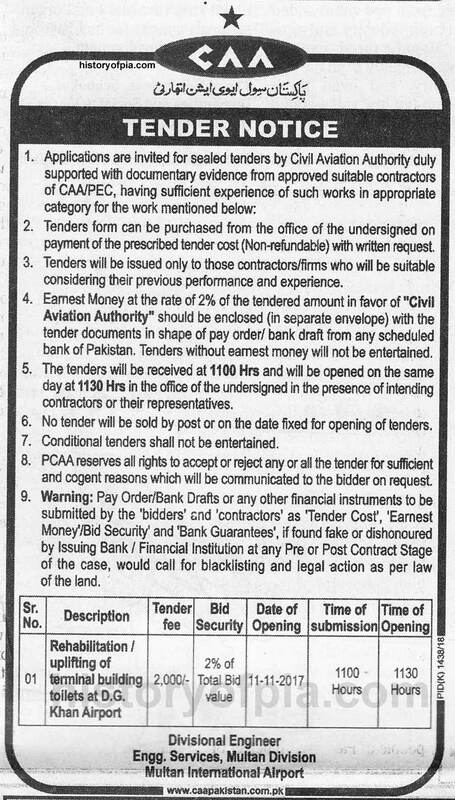 Last edited by Abbas Ali on Sat Jun 02, 2018 1:06 pm, edited 1 time in total. 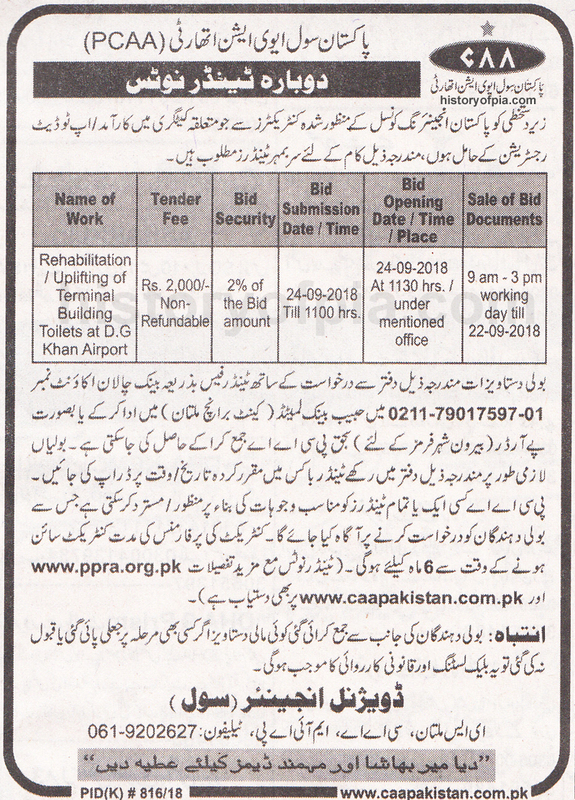 From Dera Ghazi Khan Airport PIA operates ATR turboprop flights to Karachi. 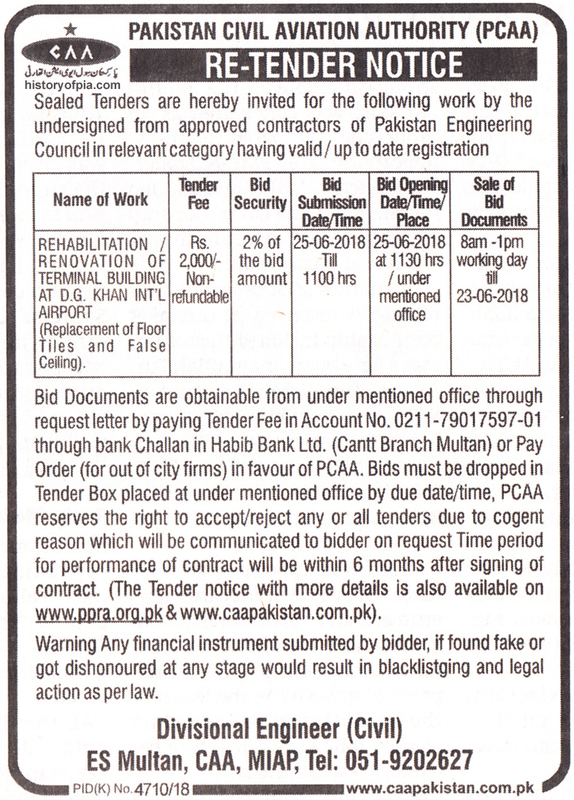 Pakistan Civil Aviation Authority (CAA) tender notice in June 5 newspaper for rehabilitation/uplifting of terminal building toilets at Dera Ghazi Khan Airport. 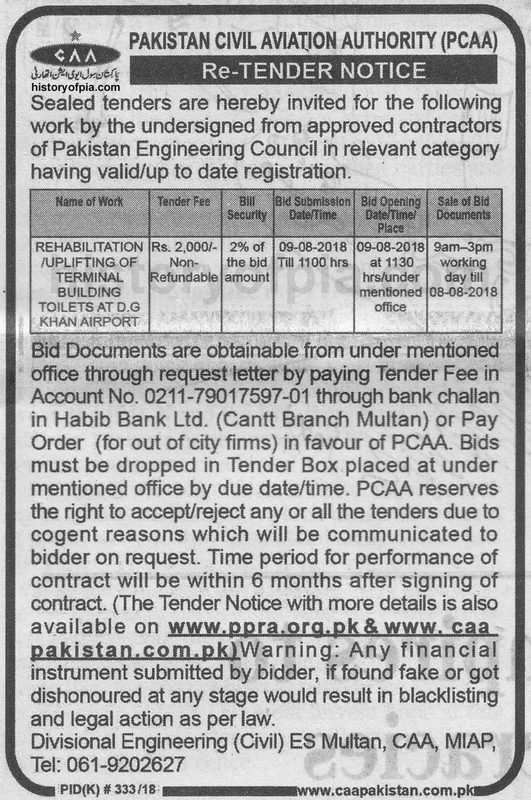 Pakistan Civil Aviation Authority (CAA) re-tender notice in July 3 newspaper for rehabilitation/uplifting of terminal building toilets at Dera Ghazi Khan Airport. 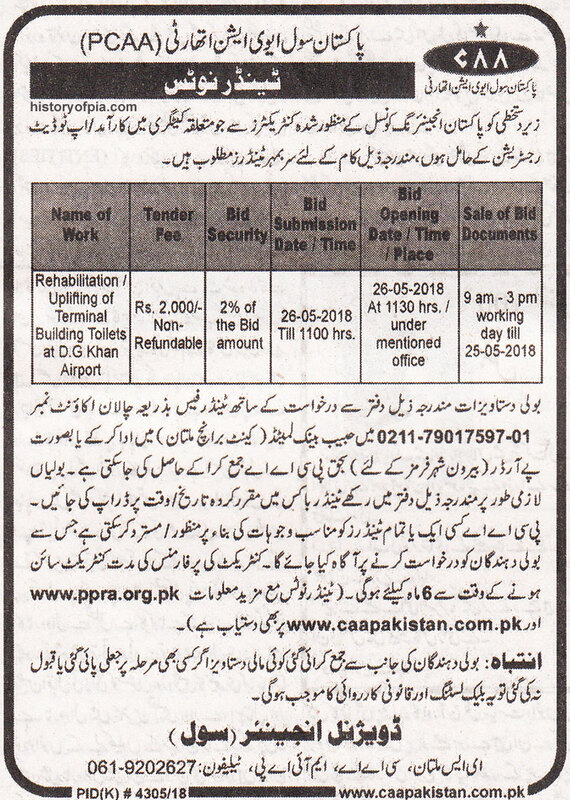 Pakistan Civil Aviation Authority (CAA) re-tender notice in July 25 newspaper for rehabilitation/uplifting of terminal building toilets at Dera Ghazi Khan Airport. 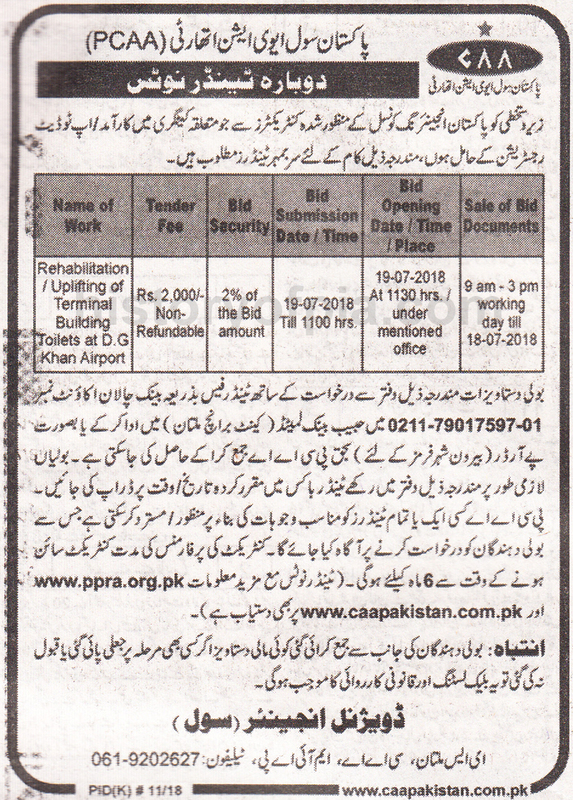 Pakistan Civil Aviation Authority (CAA) re-tender notice in September 4 newspaper for rehabilitation/uplifting of terminal building toilets at Dera Ghazi Khan Airport.